Pakistan faced another defeat in the Champions Trophy taking place in Breda, Netherlands on Sunday as Australia downed the green shirts by 2-1. Australia, one of the most successful teams in the Champions Trophy with 14 titles under its belt, added another win to its list of glory. 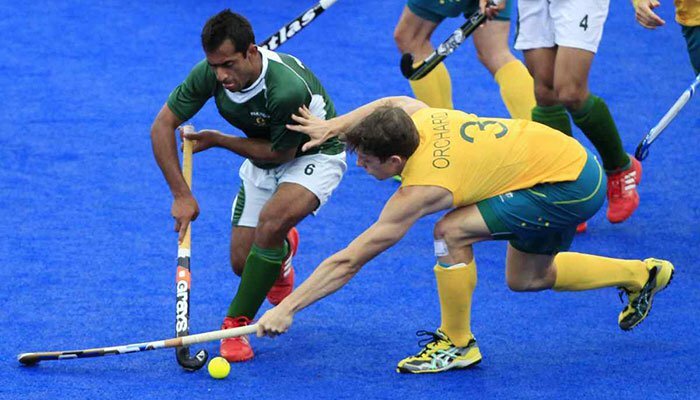 Pakistan lost their opening match of the tournament 4-0 to India while Australia drew their game 3-3 against Belgium on Saturday. Six teams will be taking part in this year’s tournament, which is the last edition of the Champions Trophy. The tournament will be replaced by the Hockey Pro League (HPL) in 2019.